Are you looking for a nice weekend in Holland? A place where you can recover from the daily hustle and bustle, enjoying nature and yet close to the civilized world? Then plan a weekend trip to Apeldoorn in the Netherlands. Hotel Apeldoorn is surrounded by nature and yet the city centre of Apeldoorn is only a few kilometres away. Enjoy our bike, horse and hike trails on the Veluwe and be surprised by the beautiful city of Apeldoorn. Apeldoorn city is diverse! For example, let yourself be immersed in history and discover the secrets of the city. Enjoy shopping and a good cup of coffee. Culture and experience, that is what Apeldoorn is all about. With an overnight stay at hotel Apeldoorn- de Cantharel, you can enjoy both tranquillity and various fun activities. In short, enough reasons to plan a weekend or a night away in the Netherlands. For horse lovers hotel Apeldoorn-de Cantharel offers a great solution. You just bring your own horse. 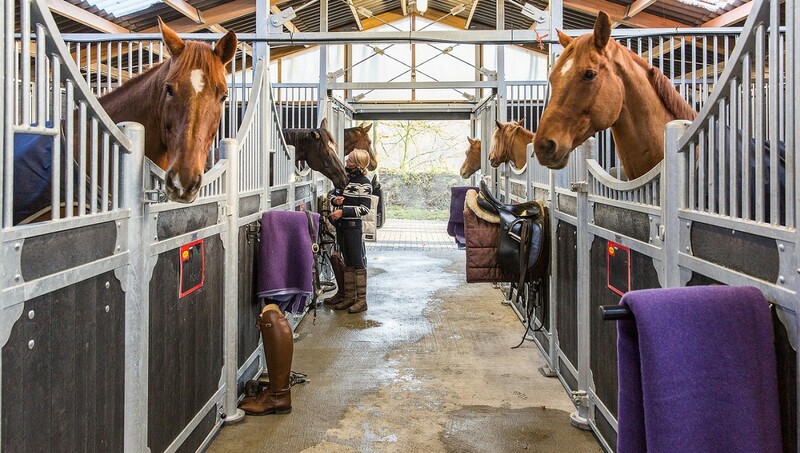 This Van der Valk hotel is the horse hotel in Holland that provides you with all comforts. The hotel is located in the near the forest and offers luxurious overnight stays for both horse and rider. Would you like some recommendations on the area or the Veluwe? Pay a visit to the log cabin next to the horse stables of the hotel. When you return from your outdoor activity or city trip, the hotel offers plenty of opportunities to relax. For example, visit the beauty and wellness area.. Here you can completely immerse yourself in luxury and tranquillity. A perfect conclusion to an active day outdoors.